Never lose track of your luggage again. When you carry your world with you, you want to know your bag is safe. The Samsonite Track&Go™ tracking wireless device with mobile app takes the worry and hassle out of travel by letting you know where your bag is at all times—with great accuracy. The Track&Go™ tracking device is safe to check in and carry on as it is FAA and EASA compliant and classified as a Portable Electronic Device (PED). If airport personnel have any questions, please present the back of the device, which has national certification and safety symbols displayed. Stay calm at baggage claim. Hang back away from the crowded carousels. Turn on Proximity mode, and the Track&Go™ tracking device alerts you when your bag is nearby, so you can grab it and go. Enjoy the day, away from your bag. When you leave your bag in your hotel room or at bell services, turn on Hotel mode. The Track&Go™ tracking device lets you know if your bag moves, even if it’s just been bumped. Don’t let distractions divide you. Turn on Proximity mode on a commuter train, in a crowded restaurant, or in a busy terminal. The Track&Go™ tracking device alerts you if you leave your bag behind, or if someone walks off with it. Fly easy, knowing your checked bag is onboard. Turn on Travel mode at check-in. As you take your seat, check your bag’s location history to see if your bag made it onto your flight. Track lost luggage, so it’s not lost. If you become separated from your bag, use Locate mode to find its location, so you can arrange for its safe return. Then track its location history in Travel mode as it makes its way back to you. 4 modes, 1 purpose: peace of mind. Pack the Track&Go ™ tracking device in your bag, and the linked mobile app sends texts, emails, or push notifications as it tracks your bag. Is my bag near me? Alerts you when your bag is no longer near you, or when you’re close to it again. Has it moved at all? Sends a notification if your bag leaves a specified location, or even moves slightly. Is my bag en route? Regularly records your bag’s location, so you can see if your bag is going where it needs to. Finds the current location of your bag, virtually anywhere across the globe. Most trackers use one, but the Track&Go™ wireless device uses four tracking signals, providing you with the most accurate locational data available. The Track&Go device is certified for use on the AT&T network. This ensures the Track&Go™ device meets the highest standards for network performance and operation. Working with globally recognized test laboratories and regulatory agencies, the Track&Go™ tracking device comes with an extensive list of certifications for performance, safety, and compliance. 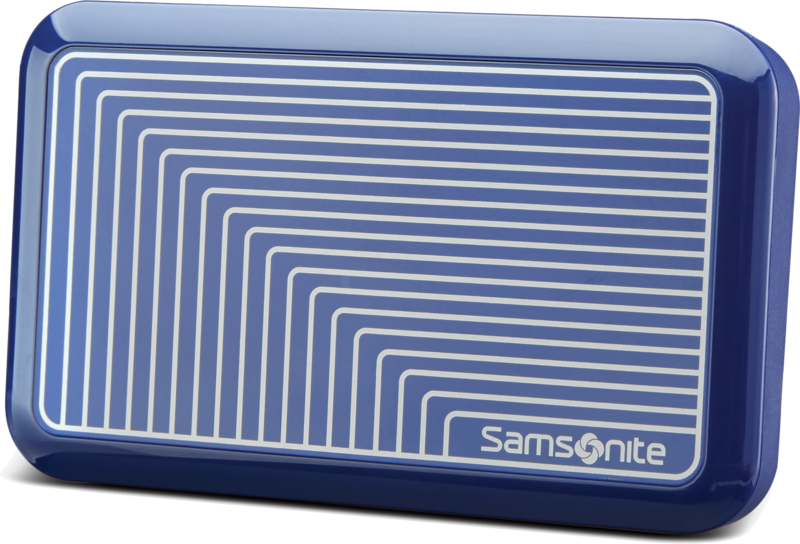 Data plan sold separately and required to use your Samsonite Track&Go™ tracking device. Activate global connectivity* and renew your service plan at your convenience, right through your Samsonite Track&Go app. * Coverage and service not available everywhere.